Giacca RRD Donna Winter K Lady Fur Nero. Il suo aspetto “pulito” e senza pieghe è accentuato da zips invisibili e cuciture termo-saldate a prova di pioggia. Internamente cela super elasticità: può adattarsi a qualsiasi tipo di abbigliamento esaltando la linea del corpo e la libertà dei movimenti. L’imbottitura in piuma d’anatra e la saldatura delle cuciture nella parte superiore contribuiscono a rendere il capo ancora più caldo, confortevole ed impermeabile. Nella versione “Fur” la bordatura del cappuccio è in vera pelliccia. This garment is made from a fabric designed with the exclusive RRD “Holistic Technology 3” method, which guarantees the product’s functionality, style and uniqueness thanks to the three components that constitute its structure: the super-matt polyamide/Lycra® shell (165g/m2, 80% polyamide and 20% elastane) is combined with an elastic, breathable, waterproof and windproof polyurethane membrane that guarantees a 5000 mm water column. The stretch fleece inside ensures warmth and ease of movement. Its “clean”, crease-free look is accentuated by invisible zips and rainproof heat-sealed seams. It is highly elasticated inside: it can be adapted to any type of clothing, enhancing the shape of the body and improving freedom of movement. 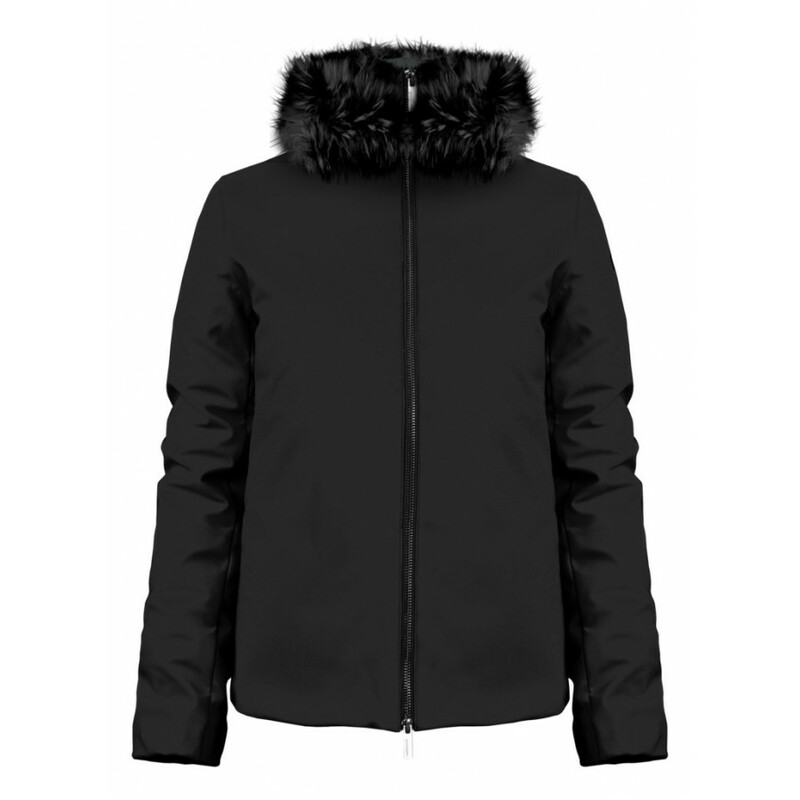 The duck down padding and sealed seams on the upper section give the garment added warmth, comfort and water resistance. In the “Fur” version, the hood is edged with real fur.